Eye on the ball you must keep. Always thinking of the future you are. Home runs you seek. Base hit you must first get. 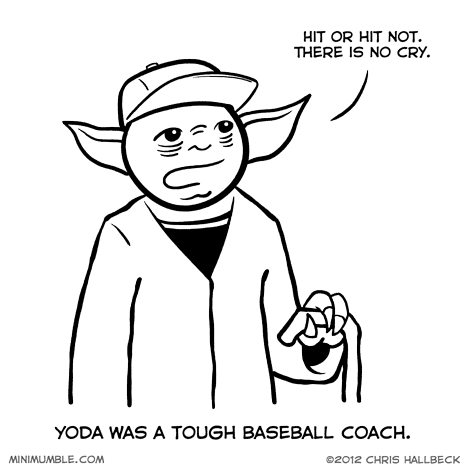 At least he isn’t Yoda Berra, or nobody could understand him. Over it is not, until over it is.